In the second half of May, doors to the National Museum of Natural History opened to the public completely free of charge. As the third and newest building to join the National Museum complex, there was a lot of hype surrounding the exhibit, architecture and interiors—some for good reason, others not so much. Visiting our local museums is an experience in itself, but sometimes it’s ruined by a lack of discipline that some Filipinos just can’t seem to shake. Despite the numerous signs that ask us not to lean on the glass, not to sit down on ledges and not to touch the displays, there we are anyway, leaning and sitting and touching. So hear this: When we go to any of the National Museum buildings, there is a protocol we should all respect. If there is a line, we need to wait our turn. There is registration, where only one person for every group has to sign in. There is a bag drop off where every bag that’s bigger than short bond paper must be surrendered. There is artwork that should not be touched and statues and carvings that are only meant to be looked at. There are other museum-goers that want to see and learn about the displays; we shouldn’t take our sweet time posing for the perfect Instagram shot. In 1998, it was mandated that the three civic buildings within Luneta Park would be converted into National Museums. The Finance Building became the National Museum of Anthropology later that same year, with the Legislative Building converted National Museum of Fine Arts in the year 2000. And now we have the National Museum of Natural History, formerly known as the Department of Tourism Building. While it was inaugurated back in 2013, it wasn’t until May 18, 2018—International Museum Day—that it officially opened. And even on a cloudy Thursday afternoon, the crowd was legit. The National Museum of Natural History exhibits the Philippines’ unique flora and fauna and a replica of Lolong (AKA the longest crocodile held in captivity), along with two beautiful taxidermy Philippine Eagles. There are exhibits of petrified wood from the United States and a room where you can comfortably sit and watch a documentary on local biodiversity. Does the museum have its faults? Yes, it does. There are rooms that leave a lot to the imagination and there are features that are yet to be ironed out. Some items don’t have the right lighting and some corners and displays need a little more attention. Moreover, only three of the six floors are open for viewing at this point in time. The rest are expected to be finished within the year, which might make for a better overall experience. But as it is (and considering that entrance is free), visiting the National Museum of Natural History is not a bad idea. In fact, make an entire day of it and visit Fine Arts and Anthropology as well. 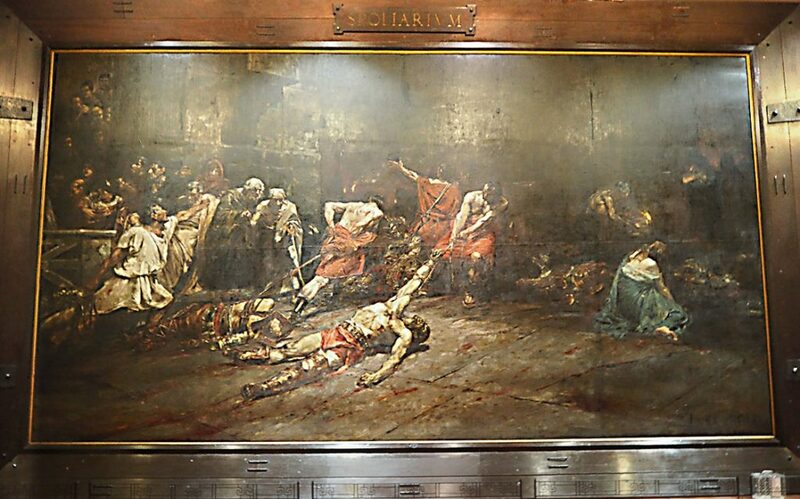 After all, you can never really get tired of looking at Juan Luna’s Spoliarium. RELATED: Where Does the Woke Rapper Brand End and the Man with His Own Political Views Begin? The National Museum complex is open on Tuesdays to Sundays. Doors open at 10AM and close at 5PM—but they tend to stop accepting visitors at around 4:30 in the afternoon. Plan (and act) accordingly!